Home decor changes constantly. What is popular today is unheard of one or two years from now. But one item hit the home decor scene a few years ago and is still hanging on -- "subway sign" art! You can find all types of subway sign art in every home decor store and even in stores that have nothing to do with home decor. 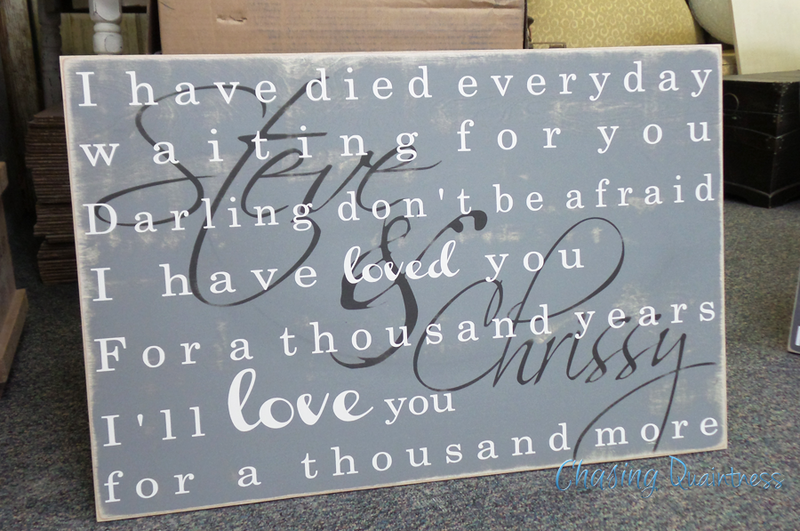 I love it and think it adds such a great little something extra to a room. There are alot of DIY projects for making subway signs, ranging from beginner level to "OMG, why am I doing this?" I fall into the latter category and will not tackle a DIY subway sign project. My art skills are severely lacking, therefore, it is easier for me to purchase these pieces rather than make them. A few years ago, I needed a sign for my photography business. Enter Trent and Britany Kutch. They were a young couple with a growing family making signs out of their home. They created a wonderful sign for my company. 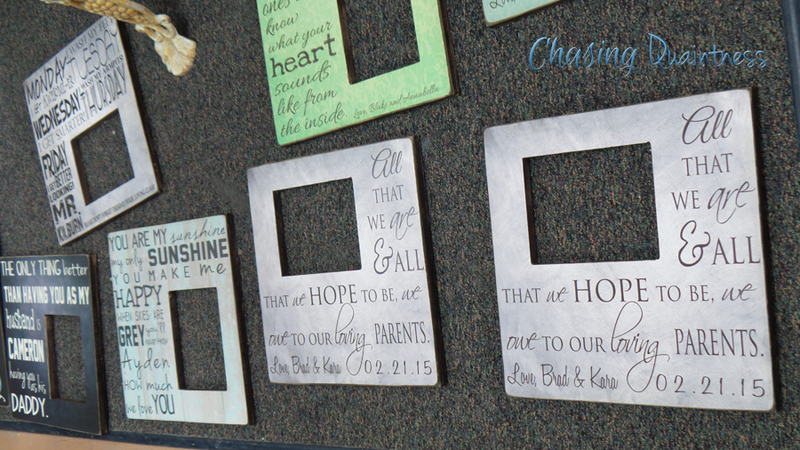 Over the past few years their company, Madi Kay Designs, has expanded. They are no longer working out of their home and have 8 full-time employees, proving that drive, determination and diligence are truly characteristics of a successful business. 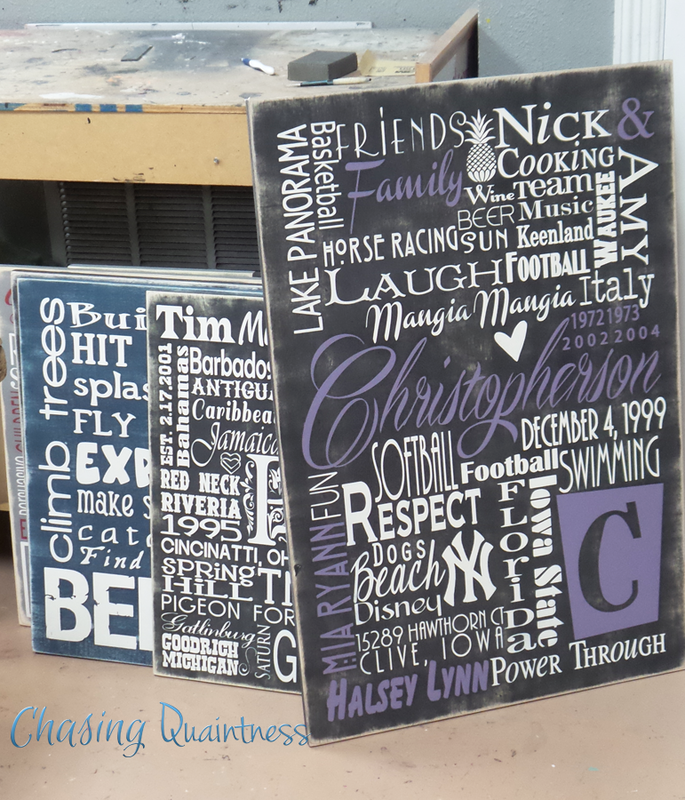 Their customized creations are versatile, elegant and tasteful, allowing them to fit into any style of home decor. Britany states that, "Madi Kay signs are inspired by the vintage beauty in things once forgotten: old doors, antique furnishings, and classic trunks, to name a few. Each sign reflects someone's story, symbolizing an important life moment." Today, I had the opportunity to visit their shop. There were many signs "in process" which, upon completion, will be shipped worldwide. As you can see, there are no limits on personalization. I own two Madi Kay subway signs and plan on purchasing a few more of these for gifts. 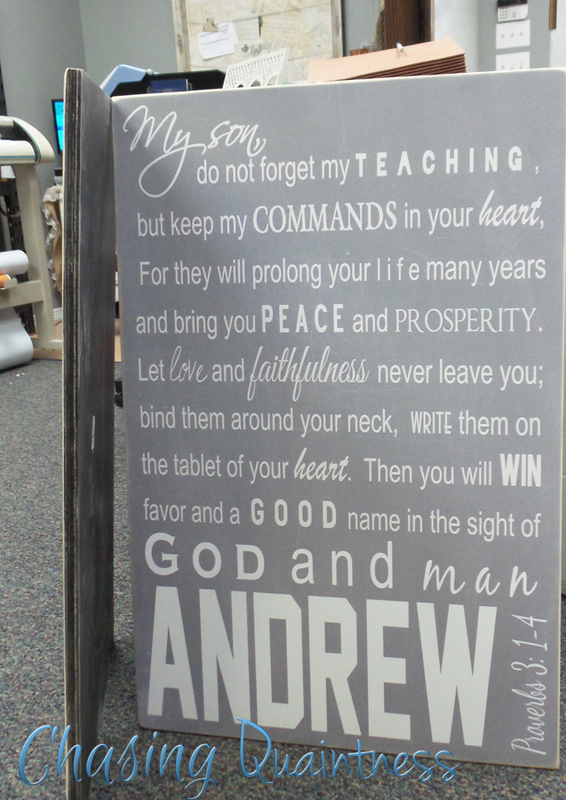 I encourage you to check out their website and order one of these hand-crafted signs for your home!